With chunky buttons and fun phrases! 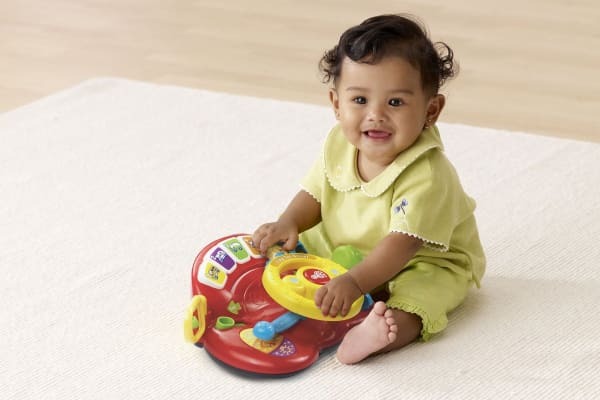 Encourage imaginative play and learning with the Vtech Tiny Tot Driver! 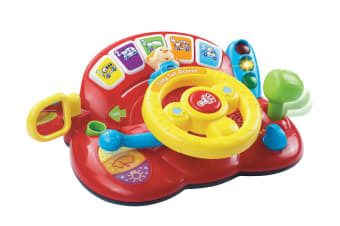 Watch as your baby plays and learns all about colours, numbers and animals though this brightly coloured interactive steering wheel toy! With chunky buttons and fun phrases, the Tiny Tot Driver encourages the development of motor skills and imaginative play in little ones.